Letter from Mason, Foulds, Davidson & Kellock (Barristers, Solicitors, Notaries), to Rev. Libero Sauro, December 28, 1940. 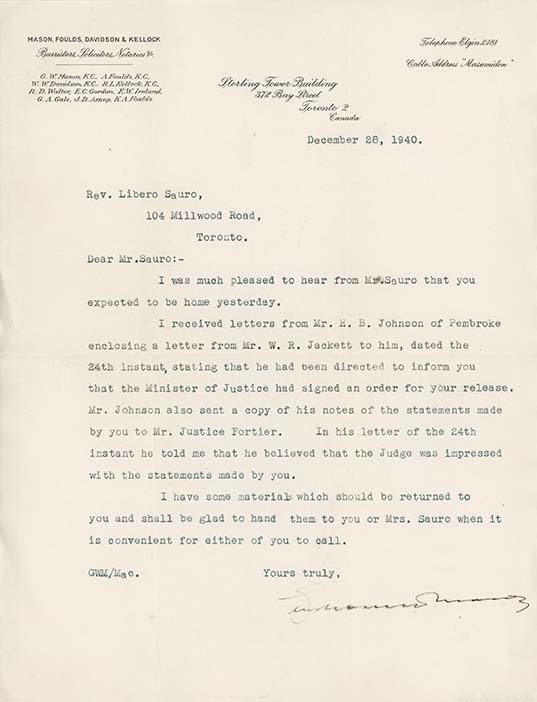 This letter refers to Sauro's hearing before Justice Fortier and the outcome resulting in his release.